Over the past day, the Russia-backed militants launched 36 attacks against ATO troops in Donbas in eastern Ukraine. "The situation in the ATO area remains tense. The militants shelled the Ukrainian troops 36 times in last day," the ATO Headquarters press office said in a report. In Donetsk direction, the enemy launched 17. The terrorists used small arms, heavy machine guns, grenade launchers of various systems, 82mm and 120mm mortars to fire at Ukrainian positions near Avdiyivka and Butovka coal mine north-west of Donetsk. 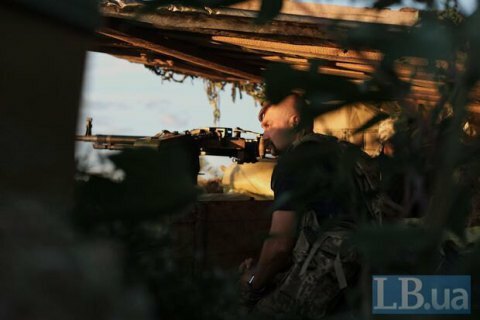 In Mariupol direction, the militants launched 18 attacks on positions of the Armed Forces of Ukraine. In particular, heavy machine guns and 82mm mortars were used to shell Ukrainian strongholds outside Novotroitske and Vodiane.